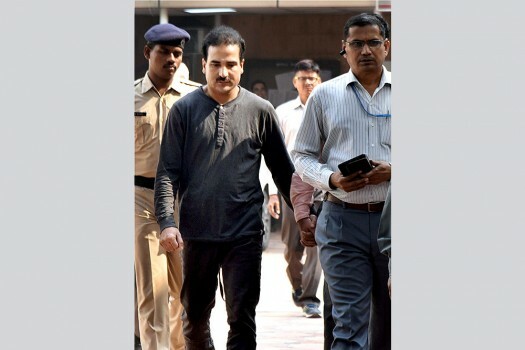 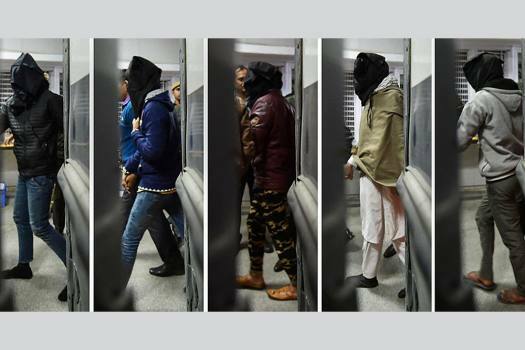 Five of the 10 accused, arrested in ISIS case, being produced at a special NIA court in New Delhi. 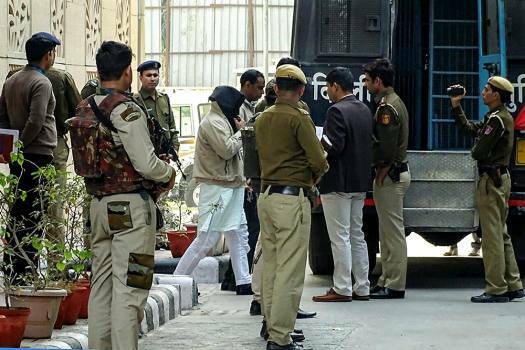 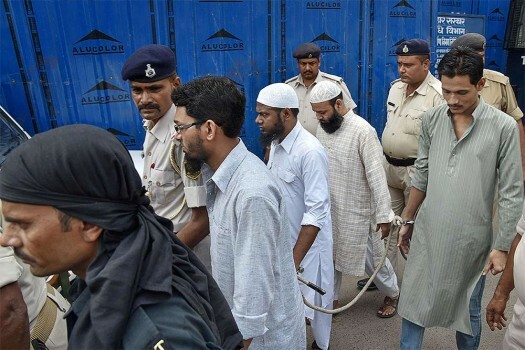 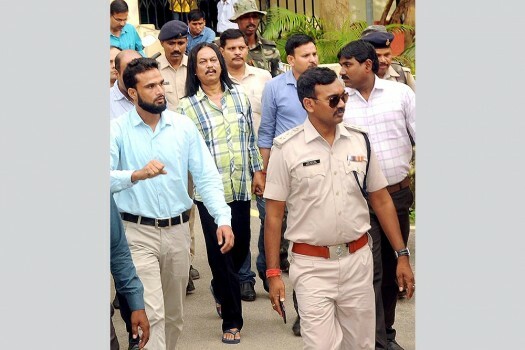 The 10 accused arrested in ISIS case being taken to court from the NIA headquarter in New Delhi. 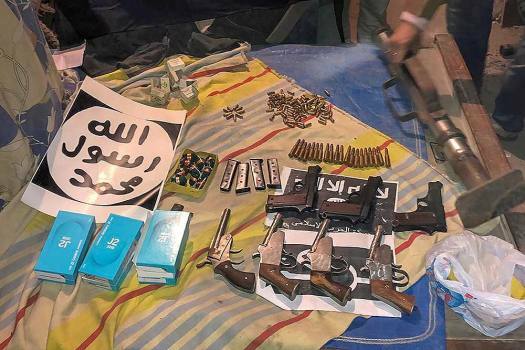 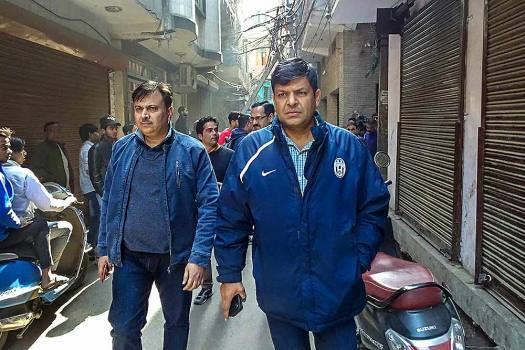 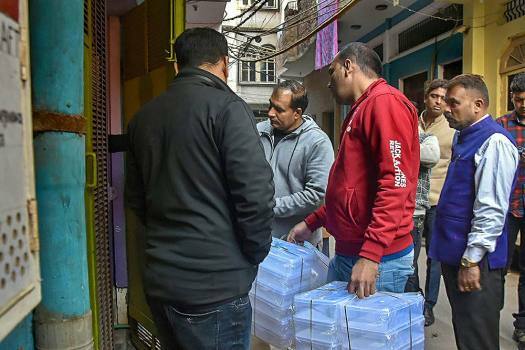 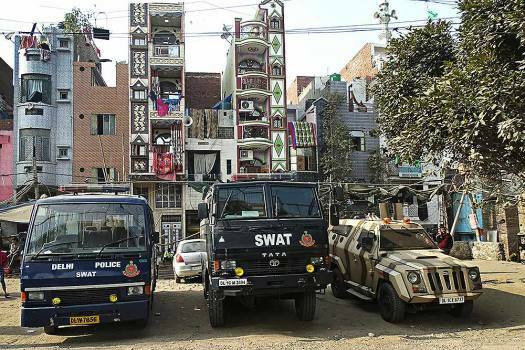 NIA officials carry the seized articles after raids at the location of a ISIS-inspired terror module Harkat-ul-Herb-e-Islam at Seelampur in north-east Delhi. 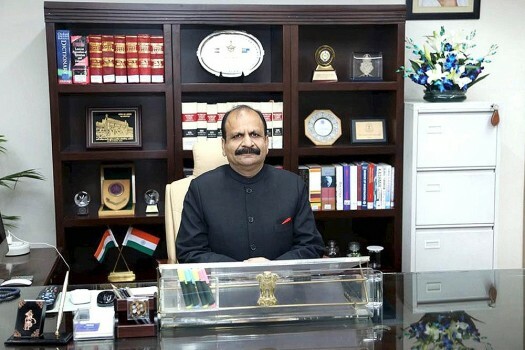 Senior IPS officer YC Modi taking charge as the Director General of National Investigation Agency, in New Delhi. 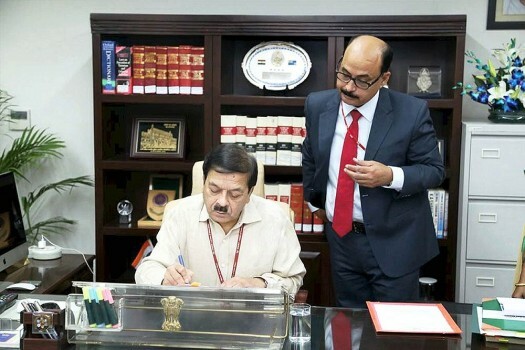 Sharad Kumar, the outgoing Director General of National Investigation Agency, handing over the charge to his successor YC Modi (R), a senior IPS officer, in New Delhi. 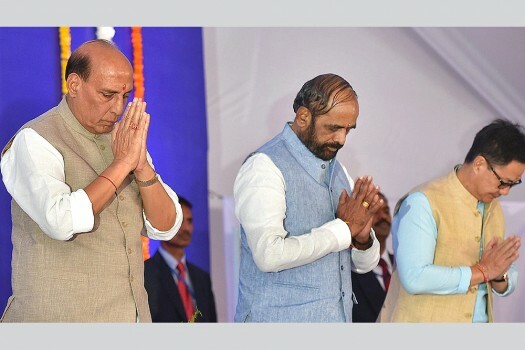 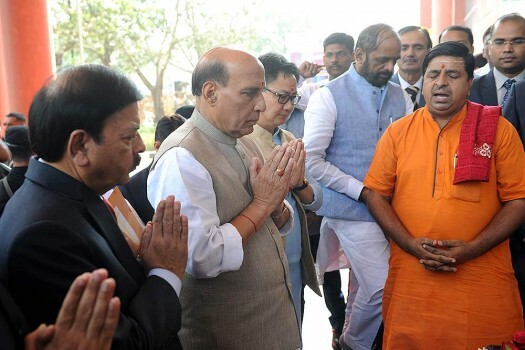 Union Home Minister Rajnath Singh during a function to inaugurate the new Office Complex of National Investigation Agency (NIA) HQs, in New Delhi. 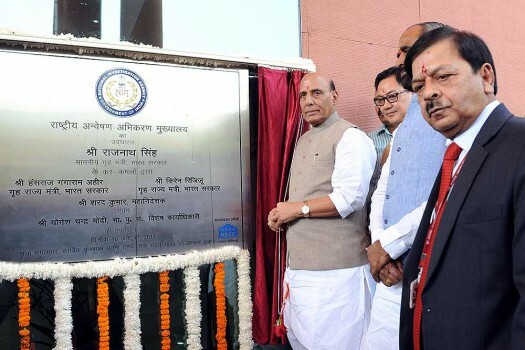 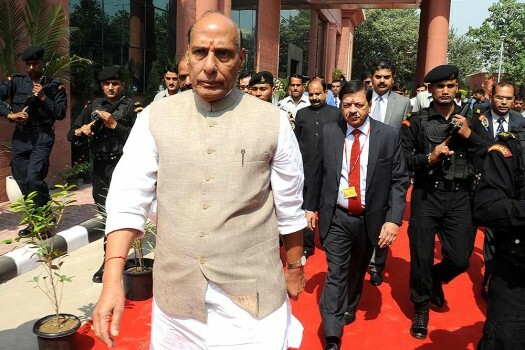 Union Home Minister Rajnath Singh during the inauguration of the new Office Complex of National Investigation Agency (NIA) HQs, in New Delhi. 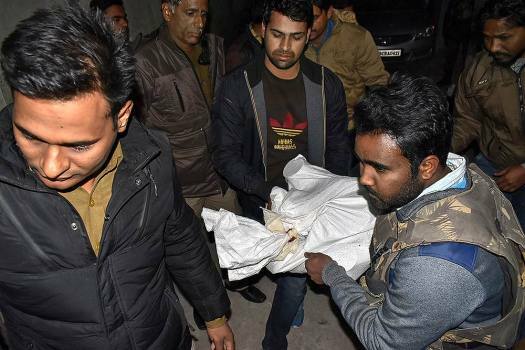 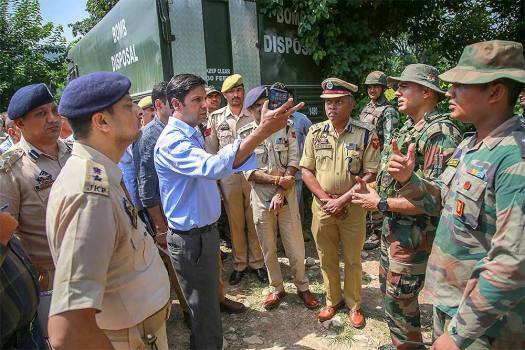 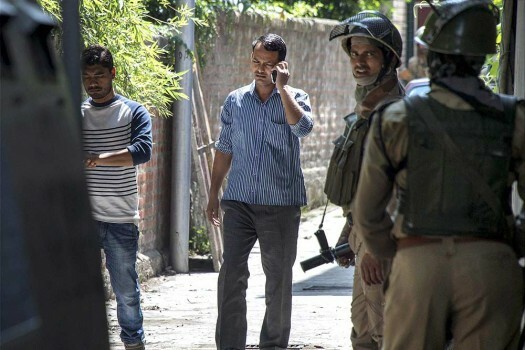 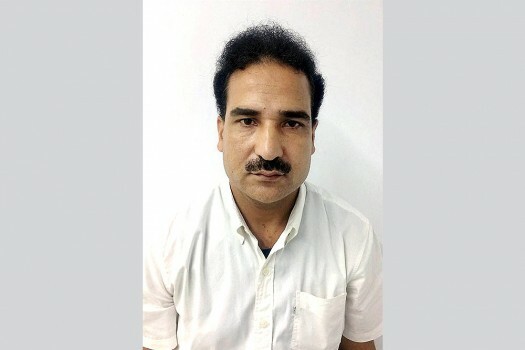 The Jaish-e-Mohammed operative was arrested from Jammu by the NIA in connection with the attack on the CRPF camp at Lethpora in South Kashmir on December 30 night in 2017. 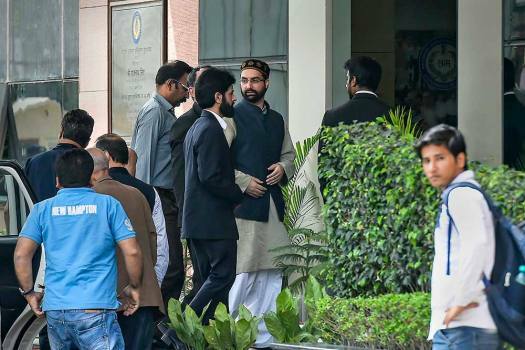 NIA has also summoned Naseem Geelani, son of senior separatist leader Syed Ali Geelani.